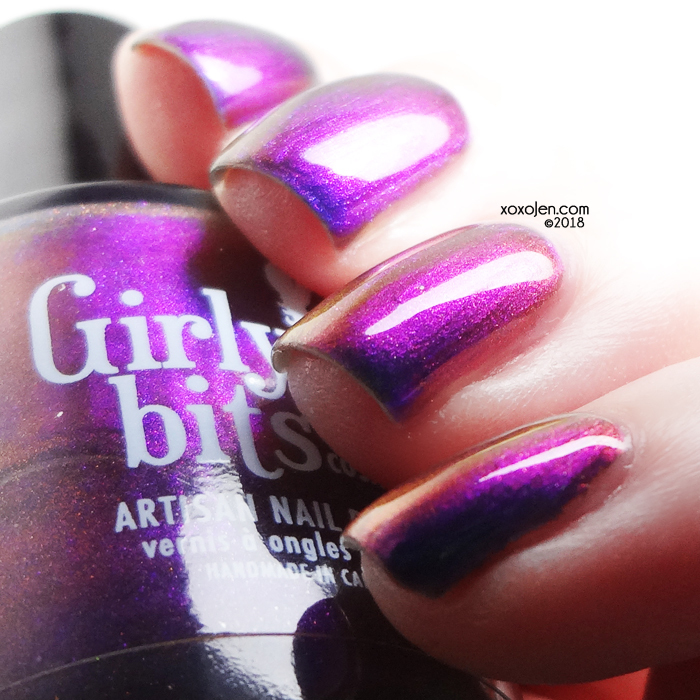 A tribute to Coldplay, Girly Bits has created a beautiful multichrome polish for their ongoing Concert Series set. 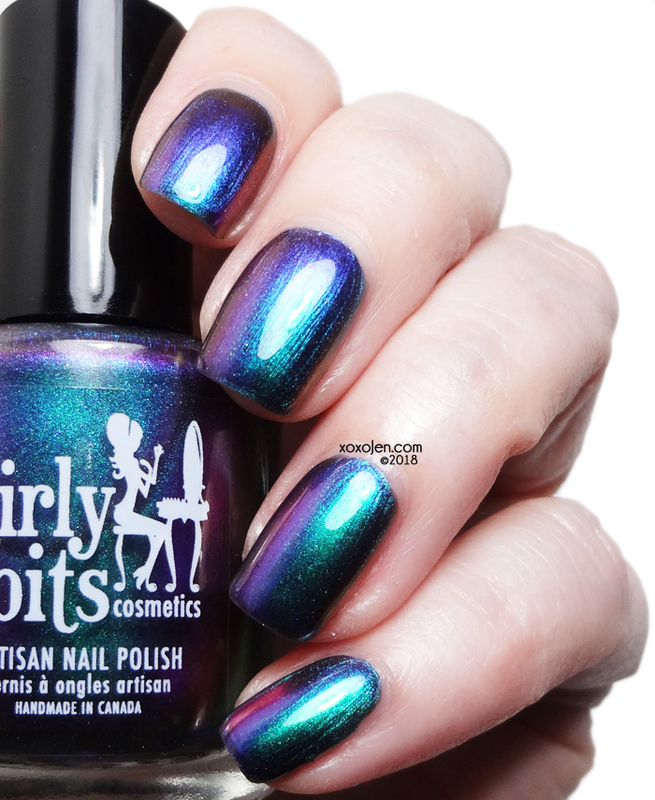 Head Full of Dreams is a super shifty polish that will transform from emerald green, to teal, to blue, to violet, to magenta, and will even show golden hues at some angles. When you look at the next few images, notice how the color shifts from first to last and then imagine about four or five more shifts. It is -that- shifty, that I couldn't capture it all. Pam says that the Coldplay light show was "absolutely mesmerizing and the energy was contagious. I highly recommend seeing one of their shows if you can." I would love to see Coldplay when they come near my city. They are one of my long-time favorite bands. Due to the amount of pigment packed into this polish it may seem thicker to you, but it seemed fine to me. Application was smooth and easy, stayed where I put it. I wore two coats with kbshimmer top coat for a glossy shine. Although you may notice a bit of brush-stroke in my macro, it really isn't visible at actual nail size. 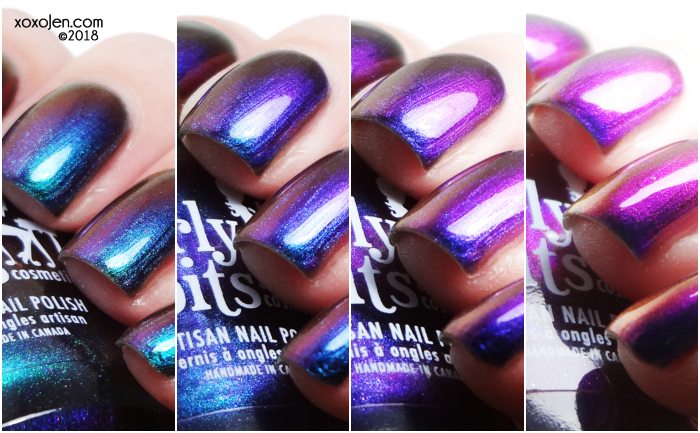 I really enjoyed how much this polish shifted, it surprised me under each different light. It really needs to be seen in person to catch all the shifts. 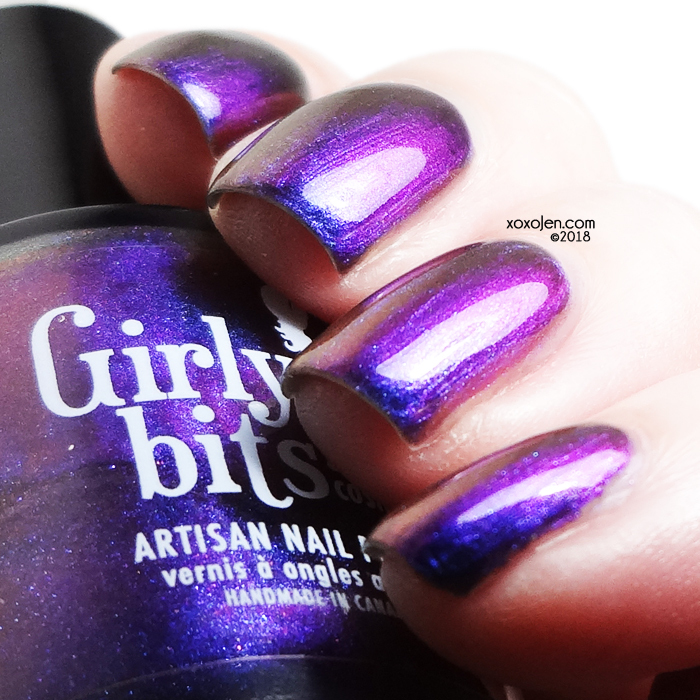 Girly Bits polish is 5 free, cruelty free and vegan friendly. 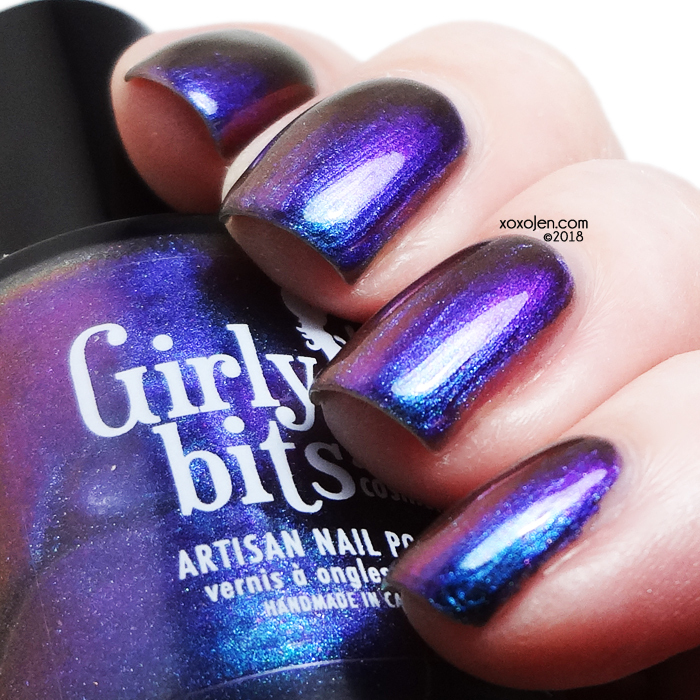 You can get yours at Girly Bits online shop! Love the swatches!! You captured the shifts so well. You absolutely MUST go see Coldplay. It was super spendy but totally worth it.